I don’t know what it is about construction that draws little kids in. Maybe it is the big trucks or the act of creating. Either way, no one can deny that construction excites the majority of toddlers and preschoolers. 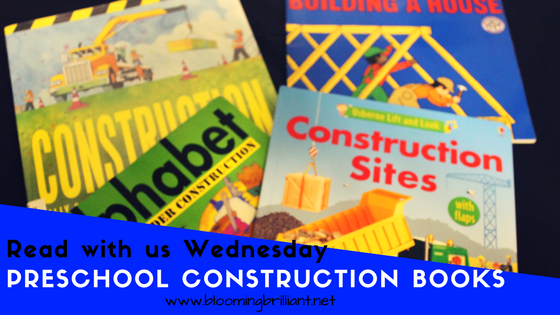 Today I am sharing a few books about construction that Anthony (AJ) is completely obsessed with. 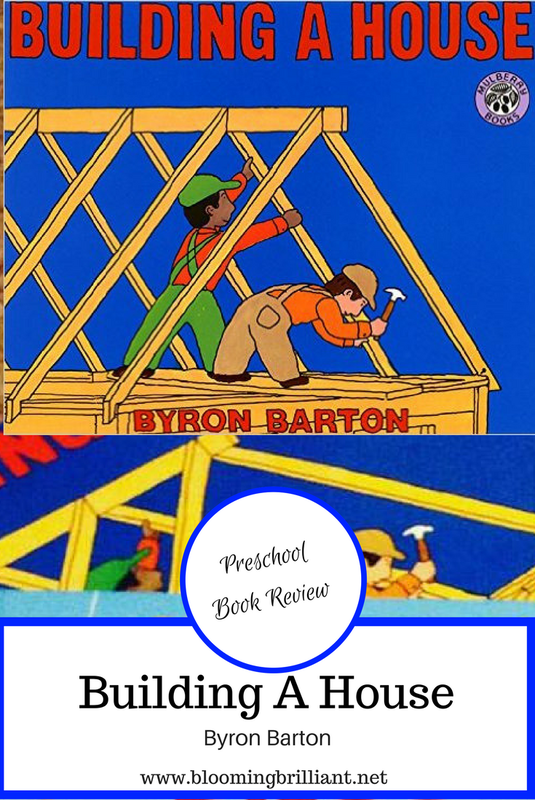 ‘Building A House’ by Byron Barton’s simple story preschoolers will love. The easy text and full-sized, bright illustrations will dazzle young readers. The simple story gives plenty of room for added conversation about what they see and think. Helping preschoolers grow their vocabulary, one page at a time. Purchase Building A House Here! ‘Alphabet Under Construction’ by Denise Fleming is the perfect pairing of the alphabet and construction. It takes you on a journey with a little mouse who works hard to construct the alphabet. Slowly but surely he constructs the entire Alphabet to the delight of readers. With simple text, sophisticated vocabulary and fun bright illustrations, kids are sure to enjoy Alphabet Under Construction. Purchase Alphabet Under Construction Here! 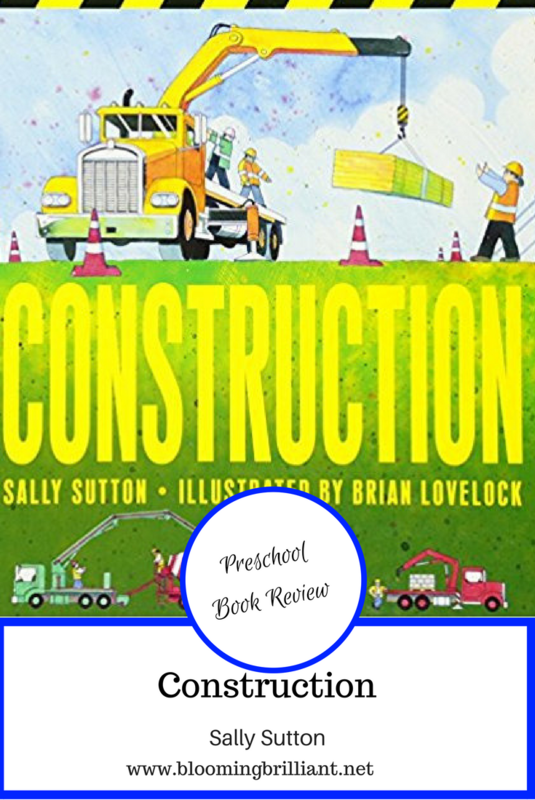 ‘Construction’ by Sally Sutton is a fun story that takes you through constructing a library from start to finish. Printed in large letters, the rhythmic text uses basic vocabulary, strong verbs, and onomatopoeia, making it fun to read aloud. Kids will love to hear the reader say all the silly sounds, like glug, glop, and gloop. It opens up some great conversation about the process of building and what the machines and workers do. The simple, yet detailed illustrations are sure to delight the reader. 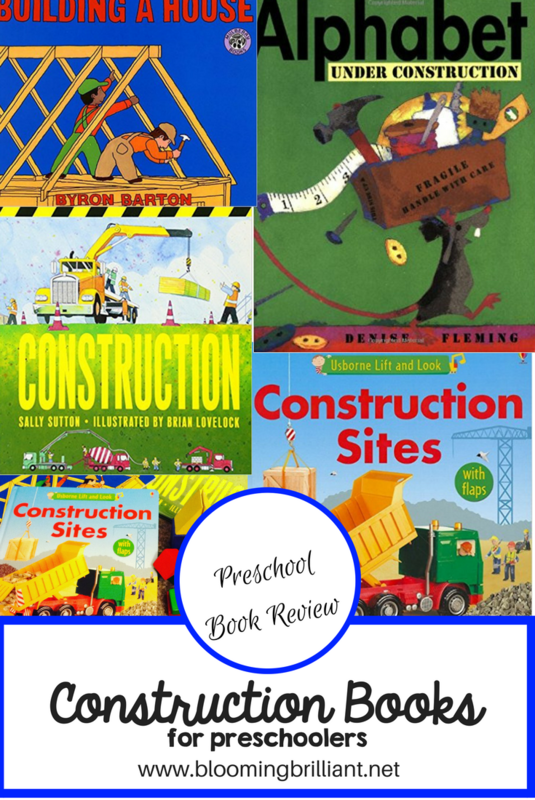 ‘Construction Sites’ written by Felicity Brooks is a fun, engaging story that takes preschoolers on an adventure in search of a bunny in a construction site. 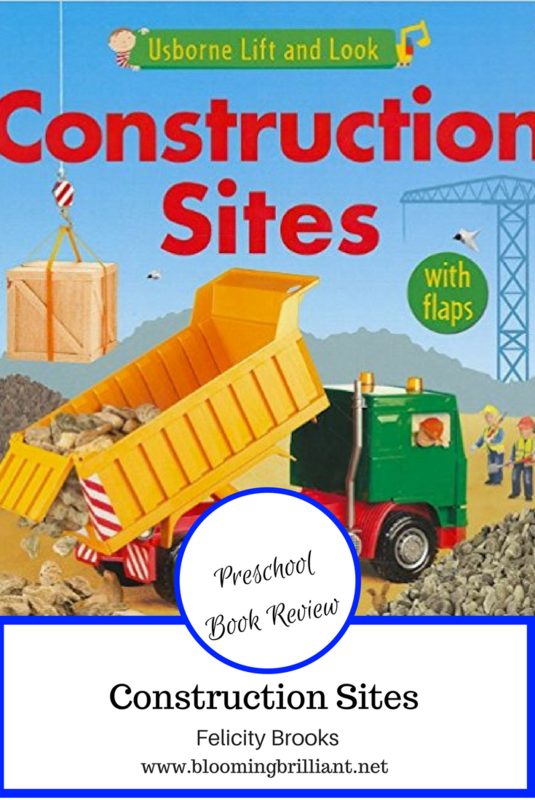 Preschoolers will love the colorful images and lift and look flaps. This sturdy book is good for the youngest readers to enjoy. There is plenty of room to have conversations about what they see at the construction site while you search for the bunny. I am a big boy 🙂 and love constructions as well. I believe what it’s interesting about this industry is the fact that you can actually build something amazin out of nothing … just few raw materials and a lot of skill. 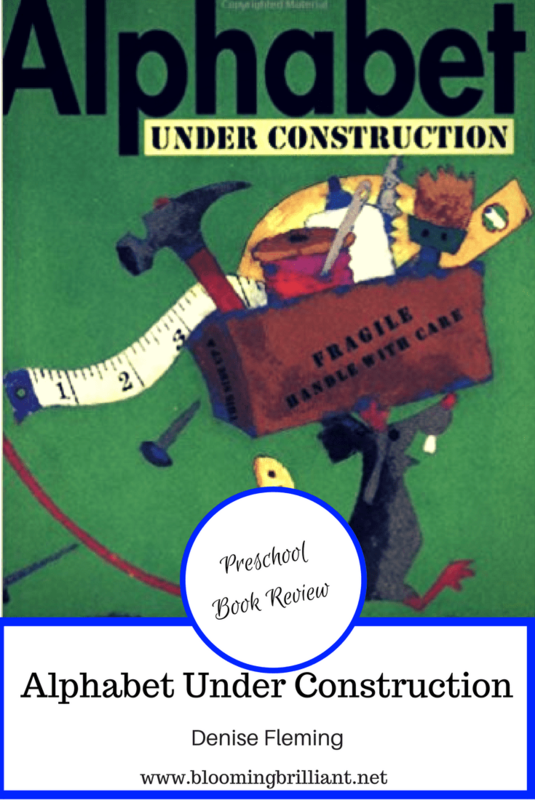 That is one of the reasons we should make our childrens read this kind of books and apply simple construction stuff when playing … it help them with their development. I am so happy that you promote this books. I see if I can get one for my babygirl.